Twitter Launch Party for new Chicken Soup for the Soul book about dogs! | Mark Rickerby's blog AND (insert trumpets here) God's Sitcom – Messin' with Mark! 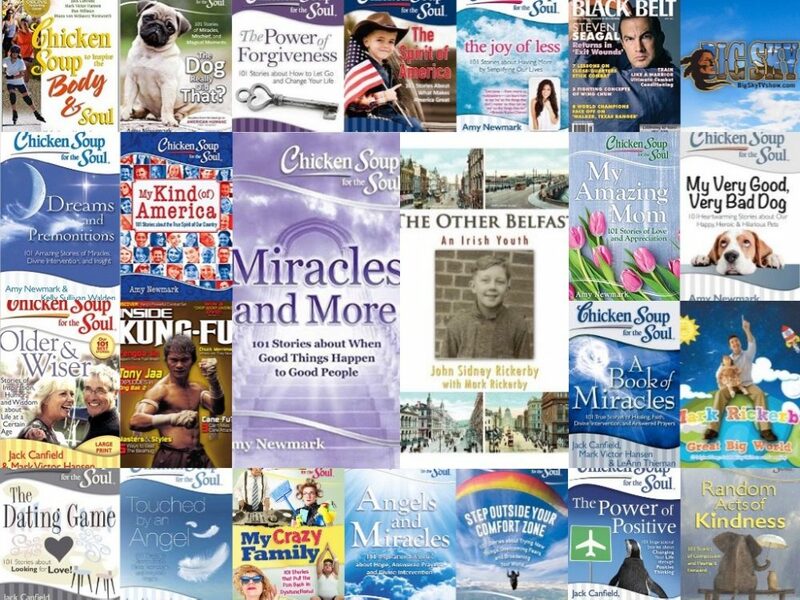 Twitter Launch Party for new Chicken Soup for the Soul book about dogs! Chicken Soup for the Soul is having a Twitter Book Launch Party for their new book, “My Very Good / Very Bad Dog.” (My story, The Rainbow Bridge, is in it.) These parties are a tradition Chicken Soup for the Soul started in the fall of 2015 for each new book. The parties have proven to be a lot of fun and very well attended. Please join our publisher Amy Newmark and foreword writer Robin Ganzert, President of American Humane Association, on Wednesday, February 17th at 3:00 Eastern time to discuss this fun, new book and meet the contributors. Contributors will share photos of the dogs that star in their stories as they discuss them. It’s easy even if you’ve never done this before. Just go on Twitter your normal way and then click on the search function using the magnifying glass. Type in hashtag #VeryGoodDog so that you can see all the tweets at the party. And be sure to include #VeryGoodDog in all the tweets that you post. That way we all see everyone else’s posts. It’s like a big cocktail party conversation. Share: We would be thrilled if you would invite your family and friends to participate. In the meantime, you can follow @chickensoupsoul @amynewmark @RobinGanzert and @AmericanHumane on Twitter to read the pre-party buzz! This entry was posted in General, Pets, Short Stories, Writing and tagged animals, dog adoption, Dogs, humane, pet adoption, pet rescue, Pets by markrickerby. Bookmark the permalink.